INDIANAPOLIS, Sporting Alert – NBA scores and box scores from the games on Tuesday night, December 8. Klay Thompson made 10 of his 16 attempted 3-pointers on his way to scoring 39 points, and Golden State Warriors stayed undefeated this season with a 132-123 win over the Indiana Pacers on Tuesday night. 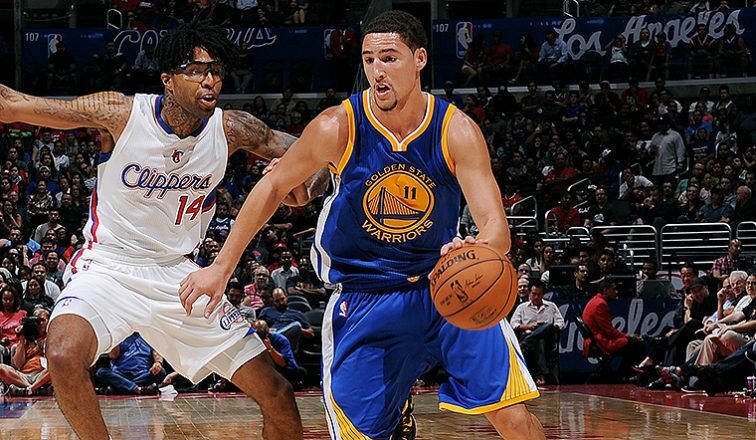 Thompson caught fire early and kept going as he scored 29 first half points en route to a season-high in guiding the Warriors to their 23rd successive victory to open the season. Overall, the shooting guard went 13-of-21 from the field, while pulling down seven rebounds and dishing out six assists in the win. Stephen Curry flirted with a triple-double after he finished with 29 points, 10 assists and seven rebounds for Golden State, which shot 54.7 percent in the win. Paul George paced the Pacers with 33 points, eight rebounds, six assists and three steals, but his big night was not enough to prevent Indiana (12-8) from falling to its third straight defeat. After a slowish start to the contest, the Warriors quickly turn on the burners to build a 20 point first quarter lead, which increased to as high as 32 points during the course of the battle. Andrew Bogut finished with 14 points and 10 rebounds, Brandon Rush added 13 points and Festus Ezeli ended with 12 points and five rebounds for the Warriors, who scored 44 points in the first quarter and led 79-60 at halftime. C.J. Miles supporters Paul George with 24 points, with Chase Budinger scoring 12 points and seven rebounds off the bench and George Hill finishing with 12 points for Indiana. Meanwhile, Tuesday night’s victory sees the Warriors moved to 27 straight wins for regular-season games, which dated back to last season, meaning the reigning NBA champions have now matched the Miami Heat’s 27-game win streak from the 2012-13 season. They also tie for the second-longest win streak in NBA history.